Hey ya'll! It's been one year since I have created this blog! Yeah! Yearly anniversary! I feel bad that I haven't been blogging half as much as I would've liked, but it's okay. I have had a very busy year, and with this school year (I am homeschool!) I am doing several extra classes. I have several cool things to post, I just need to sit down and do it! Thanks for looking at this blog! Allison Ludzz is my great online writing buddy, but the other one who inspired me to write again is Grace Sullivan. She is a sweet girl that went to church with me, and we became friends while swimming, talking about boys and crushes, and her amazing orange Julius and sugared popcorn! (Yummm!!!!!!!!!!) She also intrigued me with her story, Bloomington Romance which was about a rich girl that was shipwrecked on an island with a handsome boy (I love James!). Grace Sullivan--called Ace by her friends--is a young author with a passion for writing romances and other genre. She loves Preston, makes a killer orange Julius, and loves to eat at Panera Bread where she has the chicken noodle soup (above with Maddie, her silly friend pigging out on bread bowls). She lived in North Carolina but moved out west, and now happily lives in Salt Lake City with her family and her dog, Sox. The world was once lively and full of dreams and color. Back when people knew what was right and how to treat one another and people knew what the meanings of their individual lives, but then it went away. The people grew greedy and vile and they began to treat each other horridly and they exploited themselves to an extreme degree. They were so busy looking at their feet as they walked down the busy streets that they never said “Hello” or “How do you do?” to each other any longer. They looked down at their rain splattered shoes and swore at the sky they never noticed. Soon enough, they forgot the sky was even there. Even the name of the sky was forgotten. Then it was taken away. The color was drained from the world because the people no longer deserved it. The color was taken, and no one even noticed; for they just continued to stare at their feet, never realizing their lives were all wrong. The true dreamers, the true imaginative people were scorned for their preposterous idea of color. They were cast out of their cliques and thrown away like the week’s garbage until only one was left to rot in an asylum. Henrie Clovis. Henrie was the only one left. A sixty-seven year old man on the verge of true insanity, people never believed his preaching of a better world and this curious idea called color. He was thrown to where he now resides, in that asylum; waiting for an inspired soul to believe his tale. Eventually he found that inspired soul while she was on a school field trip. She was just as kind and well minded as he was. For an unknown reason, she decided to defy all the social laws and go into the forbidden room. This is their story of discovering the truth. I am in horrible agony. I can’t tell anyone, not even my mother. My father is gone, went away after I started talking to him; the one in the asylum. Father said before he left that when he was child people told him the same thing. They were put in jail, for no reason at all! No one agreed with them, so they were cast out. That’s why I can’t tell anyone what the one in the asylum says; even though I believe every word. I caused my mother’s grief, my father’s until he left, and my own. I’m an only child, have been ever since I mentioned the one in the asylum’s theory. No! Not a theory at all! What he says is truth. That’s another fuzzy concept in this world, truth. “If he keeps saying it with every medication maybe it’s true!” I exclaimed. I got scolded by my teachers and I was discontinued by my friends after that proclamation. They never thought I would actually go in to that room. Then I tiptoed into the room to see an elderly man lying on a cot reading “The Giver” by Lois Lowry. I’ve read that book and all the others in that cycle since then. It was funny to me then for I’d only seen people read textbooks. And this thing called a Library he told me about was full of books like “The Giver.” And that’s how our friendship started. “Sir, what’s a giver?” I asked him in my small, meek voice. “A giver is a gracious, selfless, generous person,” he replied simply. I had never heard any of those words in my life. But the way he said them made me think they were real words. I never asked what they meant, just thought about asking. “Sir, if I may be so bold, you don’t sound crazy to me,” I said kindly. “You would be the first, my dear child. Would you like to come in?” he asked. I glanced back at my classmates shaking their heads in disapproval. “I would love to come in,” I said brightly. I stepped through the forbidden grey doorway and sat on a small stool across from his bed where he sat upright, his book closed now. “Young lady, what’s your name?” he asked softly. “Lillian Jay Jenson,” I replied. “What a beautiful name,” he commented. “Sorry, what does beautiful mean?” I asked tasting the foreign word on my tongue. “Something of good report, something that pleases you when one looks at it, smells it, touches it, tastes it, and thinks of it. Something excellent of its kind, do you understand?” he explained wisely. “Somehow, yes, yes I do understand. Sir, why do you suppose I understand?” I asked. “Lillian, may I call you Lilly?” he asked. “Lilly, how old are you, love?” he asked. “I am seven years young,” I said. “Seven! Why, how extraordinary. Lilly, I believe you are very special,” he said with a warm smile. “What do believe and special mean?” I asked. “Believe in this situation means that I think you are special even though I have no proof. I have confidence in your specialness, Lilly. Special means you are distinct from the usual. You are the only one of your kind. You are the only you there is; the only one that thinks and acts and speaks like you. You are special. Do you understand Lillian?” he explained knowingly. “I completely understand, Sir. But I have to stop calling you sir don’t I? What is your proper name?” I asked. “What’s my name, you ask? I haven’t been asked that in ages! My name is Henrie Clovis. I’m sixty-seven years old. Pleased to make your acquaintance,” he said, pleasantly surprised at my interest in him. “How do you do Henrie?” I asked putting out my hand. He laughed heartily. “Quite well, Miss Lillian Jensen,” he replied. “Well Henrie, I must be off to my class. They’ll be boarding the bus soon and I should hate to be tardy. I’ll return soon enough, farewell,” I said sadly. I shook his hand once more and he smiled kindly at me. “I shall look forward to when you do in fact return. Farewell to you too, Lillian,” he said sadly. With that, I bounded merrily from the forbidden room to see the whole staff, my classmates, and the teachers glaring at me in wonder; scolding me with their horridly cruel, disapproving eyes. I just smiled sweetly at them, not knowing at all what I did. “Lillian Jensen! Did you go into that room there? !” exclaimed the teacher angrily. “Yes ma’am I certainly did,” I said simply not understanding her anger. “You confess?” she asked profoundly puzzled at my quirky behavior. “Well! That makes things easy, then! You shall have your mother called and you shall never return to school. Do you understand?” she dictated. “No, I do not understand,” I said plainly. “Why do you not?” she asked in frustration. “I do not comprehend what I have done wrong,” I said simply. “Don’t say comprehend!” she shouted. “Why not?” I asked confused. “High vocabulary is unheard of! Unacceptable!” she exclaimed. “Back to the original question, why am I in trouble? Why must I be punished?” I asked. “You went in to room 119,” she answered solemnly. “What’s so bad about room 119?” I asked. “The man within is the most insane of them all. We don’t agree with him,” she said curtly. “Well then, I shall. May I still ride the bus to the school?” I asked. “How dare you suggest such a thing after what you’ve done!” exclaimed a member of staff. “Then I shall walk,” I said simply. I walked right out of the asylum and walked the half mile home where my mother and father waited for me. A little girl of seven, walking on the grey street past the grey trees, watching the grey people pass with their grey faces staring at the pavement, no cars, only people. When I returned home, my mother paced in the living room and my father sat at the table with his head in his hands. “Lillian!” shrieked my mother in agony. “Yes?” I asked undaunted in my cheerfulness. “What have you done?” she asked. “What are you referring to?” I asked. “Go to your room! You’ll be served your meals there. You’ll never come out of that room, do you understand?” ordered mother. “All right, I’ll obey even though I don’t comprehend all this punishment whatsoever. Good day to you, mother,” I said calmly. I walked down a wide hallway to my room and sat down on my medium sized grey bed with the white pillows. I sat there on the bed, thinking; nothing more than that. Pondering those words that Henrie said, and making sense of it all. I heard my parents arguing in the living room. “She went in to room 119 in the asylum!” shouted mother. “I know, I know. What do you suppose we do?” replied father nervously. “We cover it up of course, when people ask us if she did it, we’ll say the asylum nurses love to gossip and make up stories. All right?” she said shakily. “Fine, but you know this will get worse don’t you?” he said sadly. “I know! Our daughter has virtually ruined our lives. You’ll lose your job, we’ll lose our friends, and we’ll be completely isolated!” she said edgily. “I know, what’s the point of living now?” he asked, his voice quivering. “What are you suggesting?” she asked scarcely audible. “I’m suggesting we get rid of the kid. Just dump her on the street to die. We’ll be better off without her,” he said darkly. By this point I was beginning to be concerned. I wanted to stay with mommy and daddy but they didn’t want me anymore. They were ashamed of me. Scared of what I would do to them. I took out my black marker, and went over to the white wall and wrote in big letters across the middle. She ran to my room to see what I wanted. I expected her to ignore me, so I was pleasantly surprised. She looked at the vandalized wall and stared at it was a puzzled expression. “Honey, what’s that that you wrote on the wall?” asked mother. “I wrote ‘I’m special’. Can’t you read mom?” I asked. “Erase that right now!” exclaimed mother. “Why? It’s a lovely thought! Plus, it is not washable,” I said. “Pull the blinds, no one can see this. No one can see you, got that?” she said frantically. “Why are you attempting to hide me?” I asked. “Because of what you did, your father is in our room packing! PACKING! He’s leaving me!” she exclaimed devastated. “Why is daddy leaving?” I asked. “Because he doesn’t want his life to stink! That’s why he’s leaving,” she said angrily. “Because of what you did!” she yelled nearing tears. “You went into room 119 at the asylum!” she screamed. I backed away slowly from her, still wondering what was so bad about that lovely man Henrie in that room. I wondered so passionately, but could never bring myself to ask in fear of being thrown on the street like father first suggested. Mother sat crying in my room, and when father walked out she begged on her knees shrieking for him to stay. I just stood in my room, listening and not understanding but completely serene. Somehow that day, that incident made me wiser. I spent that night dreaming of grey things like any other little girl and I woke the next morning to mother sleeping on the living room floor, tears staining her face. I kissed her cheek, put on my sweater and walked to the asylum, unaware of the splendor that would come to me soon enough. I have asked a few of my friends to send me their stories so I can publish them on this blog! 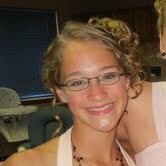 First up is Allison Ludzz: to be honest, I don't know where I even met her! Somehow we accidentally emailed each other and we were skeptical of each other at first (as we should've been! 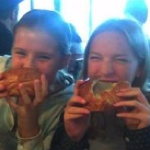 ), but when we found out we were the same age, homeschool, and both love to write: we became instant friends! To be honest, she was the one that first got me into writing again. Shout out to Allison Ludzz! I open my eyes. In a flash it all returns to me. The torrent of bodies, bloodied and scarred. The screams, the pleas. Nausea whips through me and shakes my body like a rag doll. And so begins the new day. My name is Shakia Napel. I live in Base 55. I am 15. What remains of my family has been scattered so far and wide that we have no hope of recovery. But that’s what they want you to think. To tear down invisible walls inside of you, any hint of resistance, and smother it. I sit up. A quick glance around my room brings me back to reality. Reminds that today is another day. Another day of the endless torture I have so long faced. My clean set clothes have been set carefully on a shelf, as they have each morning since I’ve been here. Along with them sits my wrist watch. It has been programmed with my schedule for the day. Every moment, every second has been accounted for. I have exactly 42 minutes before my first activity. 05:15 Breakfast. But I already know sleep has become impossible. I swing my legs down being careful not to wake my roommate, whose name I still do not know. I wake up long before she does, and am in bed long before she is. According to my schedule. Emotions run through me, anger, hatred, fear, longing, but mostly regret. Regret for not running fast enough to warn my family. For allowing the Justice to steal them from me. Regret for living, when so many others did not. For every time I save one of their soldiers’ lives. But just as I have each day, I shove these thoughts away. I have no room for them here. With a sigh I stand. I feel as though I have aged 50 years in the 4 months I’ve been here. Here, not home. Because here will never be home. Quickly I change knowing that these thoughts will only bring back the memories. schedules rarely match. Making your life more solitary than ever. While I walk, against my will, my thoughts return to home. Our port by the sea, the long warm summers. Spending hours upon hours at the lighthouse with Keela. Keela. Keela. Keela. I have to stop. Hunched over with my head between my hands his name rings over and over. Keela. Keela. Keela. If I had a single friend in this desolate place, I might be able to bear our separation. If I knew if he was dead or alive. If there was some hope… hope. Hope is often at the forefront of my mind. But hope I will not get. I look at my watch, 15 minutes until breakfast. I don’t have time for this… I think to myself… Pull yourself together! 1003, 1002, 1001, 1001. The elevator. My worst nightmare. It wouldn’t be so bad if you didn’t have to scan yourself in before you enter. I put out my hand, and cringe as the needle pokes into my skin. “Shakia Napel.” A robotic voice says and the doors open. Inside the door is a scanner, first my eyes, then my wrist watch. When I first arrived I accidentally put my wrist watch in first and consequently was punished. Which is one of the reasons I hate it so much. The security in this place, Base 55, is such that you have certain routes that you can only use at certain times. For example, I am not allowed in the hall leading to the hospital until after I finish breakfast at 05:55. Then the elevator drops, quickly and without warning. There is no indication as to what level you are on. It goes to where your schedule says you are supposed to go. In my case, breakfast at 05:15. It’s not written on my wrist watch where I’m supposed to go, but the elevator can read data that is not visibly written there. But I know where I will go. Breakfast, in Eating Center #4, Table #8, Chair #9. I know because on the back of my chair, and electronic device has my name written on it, until 05:55. When it changes to April Meadows. I sit with the same people every day. But there is not one of them that I would call my friend. They were all born to this world, and know no other life. They are not aware of the misery as acutely as I am. They are not reminded of it every waking second of every day, because it’s all they’ve ever known. There is only one person out of the 9 others who sit at my table who I even remotely like. Her name is Makila Amber. But even though I like her, each time I see her it feels like a dagger has gone straight through my heart. Makila was my mother’s name. It might be me, but I believe that they have placed me with her so that I never can forget that this place is my prison. The doors open. Straight ahead is Eating Center #4. I am 10 minutes early, an unprecedented amount of time. So it is empty. There is not one speck of life in Eating Center #4. My chair doesn’t even have my name on it yet. I am sitting in the top of the lighthouse. My chair so comfortable that I doze on and off throughout the night. I have not had more than 4 hours of sleep in 3 days. Slowly I nod off. But am awakened by a sharp scream, a scream so earth shattering that I can feel it all the way through to my bones. With a start I jump out of my chair. Eyes riveted on the scene before me. Justice Assault Soldiers fall from the sky, seeming to appear out of thin air. As quick as I can I light the warning fire. But it is already too late for the townspeople. They are greeted with an onslaught of gunfire, and most are dead before the cold night air reaches them. Remembering my training, I race down the lighthouse stairwell. I reach the bottom just as the top of the lighthouse is blown off by a mortar. The force of the blast pushes me to the ground. So, my friend Abby sent me a link to one of her friends named Oriah Pratt. You have seriously got to check her out! She is amazing! She really needs to get her songs on iTunes--if she was, I would totally buy them! I really love the last two--they mainly inspired me (along with Justin Bieber's Love Me and One Less Lonely Girl) to write Puppy Love, with Carson and Madison! I don't really write to songs, unless they are classical. Celtic Woman (The Voice, Caledonia, May It Be, The Sky and the Dawn and the Sun, Spanish Lady) and Howard Shore are the best! I Want It That Way-Backstreet Boys This is the best! Stay Stay/Love Story/Red/You Belong With Me/Today Was a Fairytale-Taylor Swift The last one is my favorite for writing! And of course One Direction...hehe! So, do you have any favorite songs you love to write to? Leave them in the comments! Sorry I haven't posted in a half a million years, but here I am now! 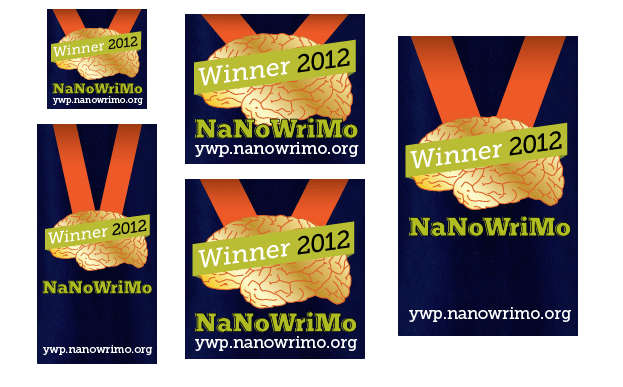 So, I won NaNoWriMo (National November Writing Month, happens every November) in 2012. I won that with my novel--The Pirate Sisters! I got about halfway with I think about 24,000 words, and then I stopped. Throughout the year I have been have writing it, so I got up to about 32,000. Well, when you win NaNo, they give you a free publishing code which you can use to get FIVE FREE PAPERBACK COPIES. Yeah!!!!!!!!! So, in June, I went nuts and wrote about 30,000 words more on the Pirate Sisters. I finished the entire novel in about two weeks, leaving me with about 64,000 words. :D That is a little bigger than Brandon Mull's Fablehaven! I edited the thing in two days (so it wasn't perfect at all) and on June 30, the deadline, Mom and I got on to publish it with the little deal. Well....you see, I stayed up till ten o'clock (super late, I know ;) Eastern time...the thing I learned from this is don't procrastinate and get it published at least two days before the deadline. I suppose the deadline ended somewhere in Asia instead of my time, which means no free book sadly. But it was a great experience! :) And I learned that you can publish on Createspace, you just have to pay to get your book in print. So I will edit the Pirate Sisters better and the publish. So I had my little adventure. July I had no idea what I did, and ditto with August. We went camping and my grandpa retired, we saw monster trucks, I went to the Lion King on Broadway and went to the Melting Pot! :D I was spoiled, but more on that later. Honestly, my life has been CRAZY since I last posted!! Well, Kylee and Aubree's mom Tammy--she's supremely awesome!--does a Mother Daughter Retreat every year in Utah. Since I live clear across the country in NC, I didn't except to go. On Tuesday April 28th--my last post, mind you!--they skyped me and said they bought tickets for me to come out and see them for the week. IT WAS SO MUCH FUN AND AMAZING!!!!!!!!! LOVE YOU GUYS!!! I FELT LIKE I WAS IN A NOVEL!!!!!! Anyway, in less than twelve hours after finding out I was on an airplane, and at 4 o'clock in the morning my time my aunt Torrey picked me up at the Salt Lake airport. I slept a bit, and then we went out to lunch, and then drove for about an hour up to...somewhere. I think Ogden. There, Katie Jo picked me up!! I had never seen any of these girls face to face, but we must have got on fine since I had only known her an hour when I nearly choked to death (she made my laugh while I was drinking water because I was taller than her, thus I nearly died after being away from home less than 24 hours). I slept at her house that night....guys, she lives in the WILD!!! Not really, but she practically lives in the mountains with horses, chickens, cats, and falcons that her dad tames! No joke! This is the view from her atop her chicken coop. That night we danced on the roof screaming to One Direction and talking about boys and kisses at sunset! This was at the resort we stayed at! There I met Kylee and mistook Aubree for her little sister Braxee...knew the face, just said the name wrong, blah! :) I made lots of new friends with the same standards as me as well! It lasted from Thursday to Saturday night. Saturday night was sad since I said goodbye to Abby and Katie. I don't know when I'll see them again, but I made some of my best memories! On the airplane I sat with someone one from church, which was crazy! I also sat with her on the plane ride there! The flight left at midnight I believe. Hugging my little One Direction pillow which Katie bought for me and begged me to bring, I was zonked after thirty minutes into the flight, and when I woke up my neck hurt, it was 3 in the morning, and my pillow case was covered in my drool. Hmm. I sat next to a boy named Peter about my age, and we made small talk, but we were both exhausted. Quite the gentlemen, and I feel sorry for him since he's going to Boston for his grandfather's funeral. I asked about the Boston Marathon and he says his uncles are police officers and were going through people's homes trying to find the murderers. I fell back asleep, and suddenly we were landing. I LOVE AIRPLANES!!! It was AWESOME to see all the trees as well! Sister Fairbern took me home, but not before I took a deep breath of the clean air. Of course it was raining and was all gray, with the huge, brilliant green trees against the morning sky. Spring had come at last. I got home at about seven in the morning Eastern time on Monday, and I 'stayed up' another hour talking to my siblings and watching movie trailers before I finally took a quick little nap. My name is Emily but I am called Madeline. I am a teenager--excuse me, young adult--who loves to write, read, daydream, run around, draw, and other creative things.